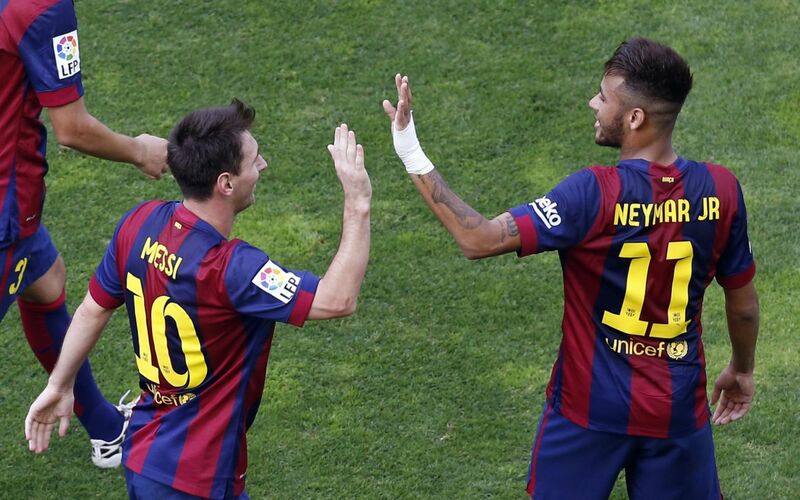 Rayo Vallecano 0-2 Barcelona: It's Messi and Neymar show... again! 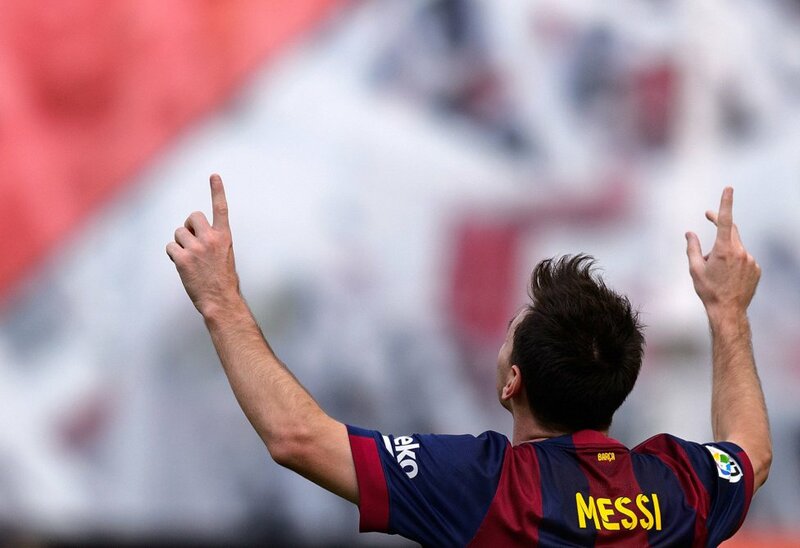 You Are Here: Home » Neymar news: 2018-19 » Rayo Vallecano 0-2 Barcelona: It’s Messi and Neymar show… again! 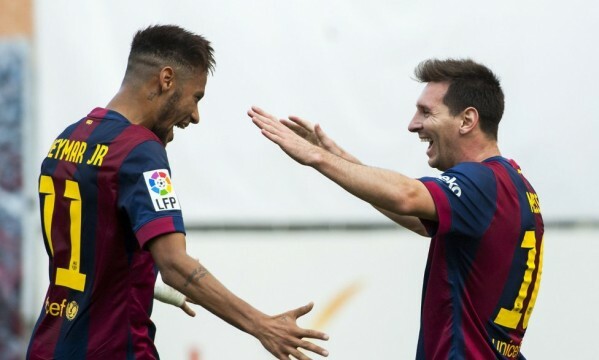 Rayo Vallecano 0-2 Barcelona: It’s Messi and Neymar show… again! 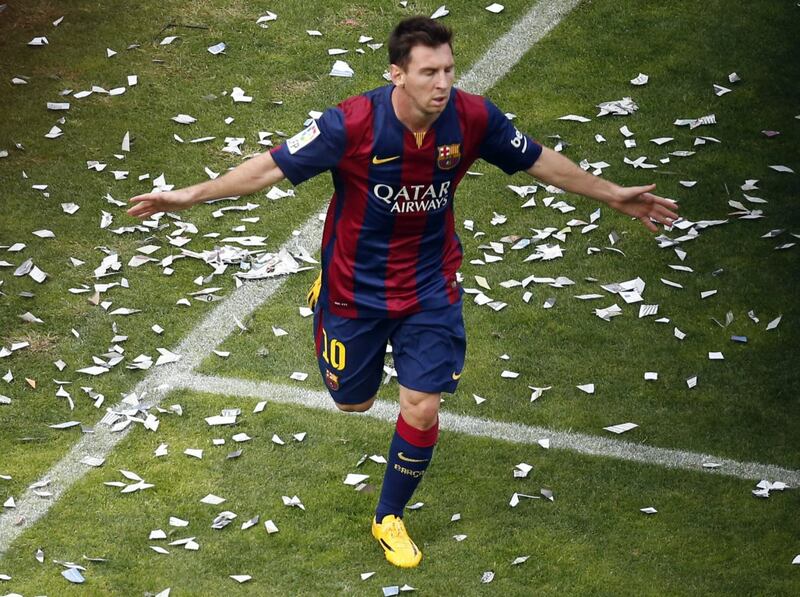 Barcelona line-up: Bravo, Mathieu, Piqué, Bartra, Daniel Alves, Busquets, Xavi, Iniesta, Munir, Neymar, Lionel Messi. Barcelona remains on the top of La Liga and their last victim was Rayo Vallecano, who they have defeated 0-2 this Saturday afternoon. Luis Enrique‘s men managed to earn a 2-goal advantage still in the first half and then cleverly controlled their opponents during most of the remaining time of the game, as they made sure the 3 points weren’t going to slip away. Barça only broke the deadlock shortly after we had passed the first half of an hour of the game, after a very fortunate long clearance from Gerard Piqué turning out to be a great assist to Lionel Messi. The Argentinian first had to control a bouncing ball by heading it down, but he kept his composure despite his opponents’ pressure and finished it off with a perfect chip above the goalkeeper’s body to send Barcelona into the first lead of the afternoon. Less than a minute later, the visitors reached their second goal and basically put the game to sleep from that point onward. 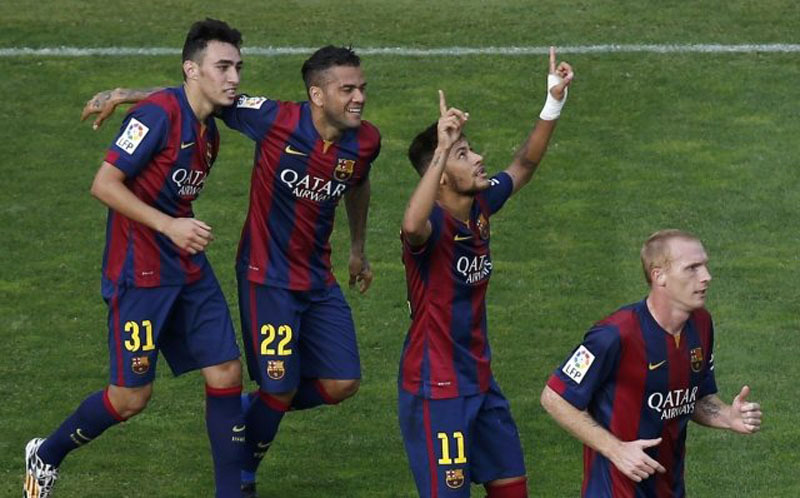 This time it would be Neymar making the difference, after being assisted by the youngster Munir. The Brazilian ace found himself with enough space to try his luck already inside Rayo Vallecano‘s box and he didn’t think twice. He struck it low and aiming at the bottom corner, leaving Toño nailed on the ground and completely helpless. 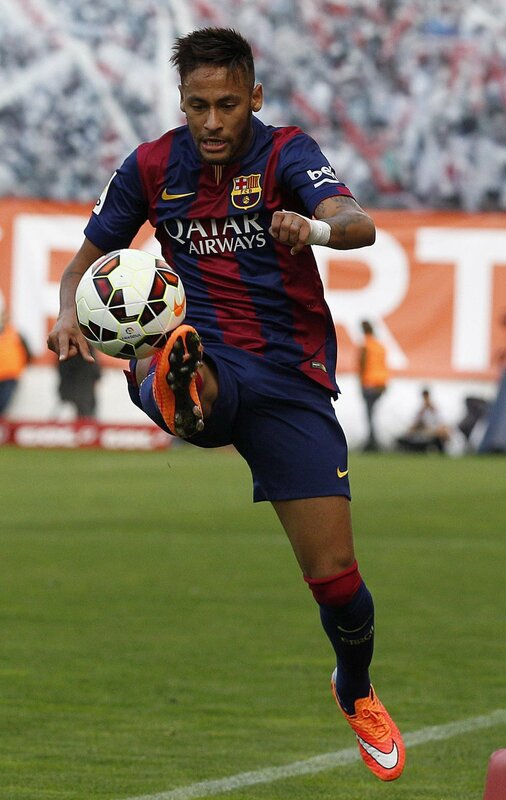 With this Saturday’s goal, Neymar is now La Liga‘s 2nd top scorer with 7 goals in 7 games. Nevertheless, the 22-year old superstar is still 6 goals behind Real Madrid‘s Cristiano Ronaldo, but 1 goal on top of his teammate Lionel Messi.